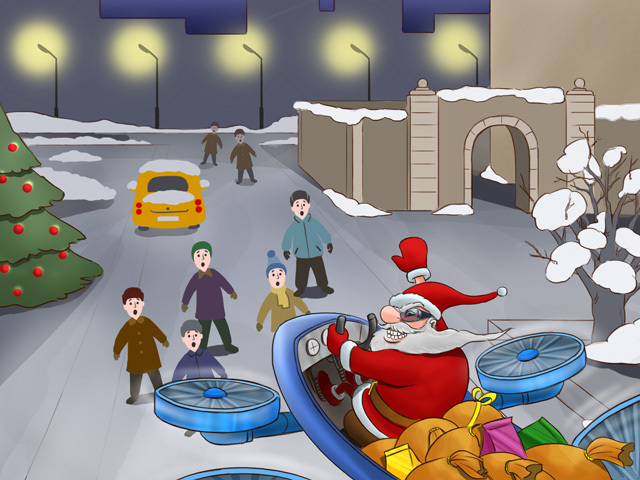 Can Air Drones Really Replace Santa’s Sleigh? It seems Santa’s reindeer could be deprived of their usual Christmas duty by 2016, as Amazon would arrange for your Christmas presents to be delivered via air drones. Moreover, the company assures customers that this delivery option, currently referred to as Prime Air, would take less than half an hour. Will this ‘better tomorrow’ happen by 2016, or will a downside present itself before then? Based on videos from Amazon and DHL, the concept of delivering the orders by mini-helicopters will be managed by logistics providers. A quick check on the Parrot AR Drone on Amazon proves that the fully functional airborne machine costing around $300 is real. If this is the case, why is the drone program scheduled to begin in a couple of years and not now? The answer is simple: you might need a special permit to have your flights authorized by the FAA and other organizations supervising aviation security. Currently, they are not too inclined to issue such permits. The US, home to Amazon, is known for its highly stringent UAV policies. The development of general UAV use terms, making drones certified for civil operations, was signed-off in November. On the one hand, it would solve several problems: aircrafts and helicopters would be entitled to fly to wherever they need to, without having to receive special permits to operate in each city. On the other hand, the FAA insists that a live pilot must operate each airborne vehicle, even if they are not seated in the cabin. This requirement undermines the very idea of UAV-operated delivery, as it would require additional costs. After all, an organization using UAVs is subject to a long list of rigorous requirements usually imposed on airlines: pilot certification and inspection, ‘authorized-personnel-only’ admission rights to the cockpit (or its equivalent) and so on. In other words, even in five years, UAVs won’t necessarily be completely ‘pilotless’ if business leaders don’t convince government officials to change their minds. Europe, by far, enjoys rather lax policies towards UAVs. Airborne devices weighing less than 150 kilos are classified as ‘toys’ and are regulated by local civil bodies. Heavier vehicles are required to follow a set of regulations, which ensures UAVs are seamlessly integrated into the common aeronautic environment. In general, authorities plan to give the idea a green light by 2016. As UAVs are covered with cameras, and, due to their small dimensions, are able fly pretty close to buildings and people, the issue of unsanctioned photo and video footage is a concern. Other serious questions might arise: how to prevent drone hijacking. As security professionals recently demonstrated that a GPS signal could be spoofed, hijacked drone landing in a wrong location is a serious concern. For any remotely controlled device there is another issue: how to protect a drone from potential cases of device control theft. Right after Amazon’s ambitious statement, the case of the Skyjack drone was presented: the device was able to hijack AR Drones by forcibly disconnecting them from their wireless controller and re-connecting them to its own. Also, as the FAA previously noted, anyone can take over UAV control: given that controlling the device is as simple as having a highly portable laptop or tablet, which can operate from basically anywhere. Criminals could forcibly take over controlling the device from the operator. It became obvious in the last few years that cybercriminals are actively exploring new opportunities with great revenue potential. In this light, a safer and remotely operated theft of goods like Amazon orders is a very inviting prospect. Moreover, each stolen shipment comes with a wonderful bonus – a drone. In turn, it might serve for any kind of criminal activity – from espionage to terrorism. And it is obvious that such UAV incidents, whether intentional or accidental, is what is stopping authorities from giving the initiative a chance. That being said, it looks like Santa, his reindeer and sleigh will keep their day job until drone-operated delivery is proven safe from hijacking or unauthorized manipulations.